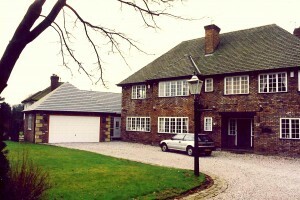 The main achievement was to win planning permission to build a reasonably large extension, in front of the exisitng ‘building line’, in a highly sensitive rural area, with the creative use of the new garage hiding new accommodation behind, and bringing a sense of protection and enclosure to the front external entrance area of the house. The existing house was in extensive grounds, off a very prestigious Cheshire country road, where properties backed on to a private lake to the rear. Although having extended the existing villa several times, a growing family mean that all rooms were occupied. The owner’s international trading business was based at home and he also required short-term storage of some goods. 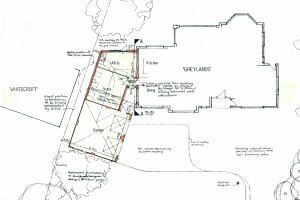 Permitted developments rights had been used up. 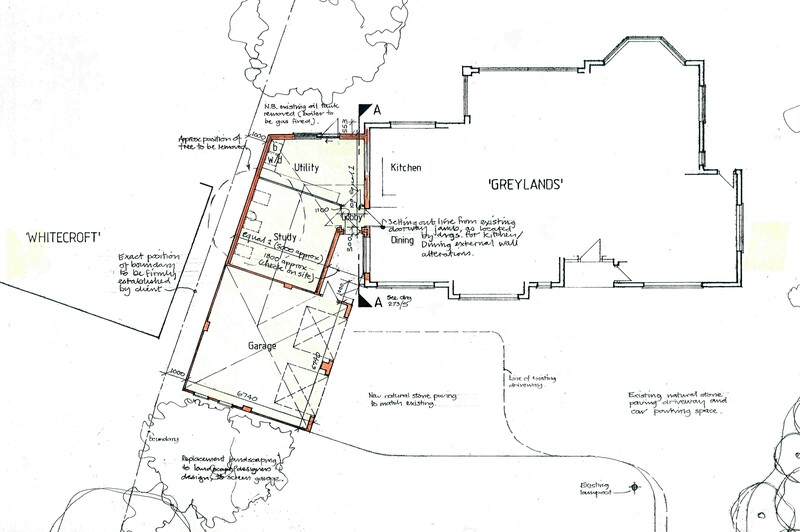 My solution was for a single–storey pavilion, where a new wide garage to the front disguised new office space to the rear, also benefitting from the views to the lake. The garage would in addition shield the office from noise from passing traffic. Although all properties on the road were different, the achievements were in winning approval to build in front of the existing building, extending beyond the usual percentage additions from original building allowed in this area, and also creating an extension that sat well with the existing. 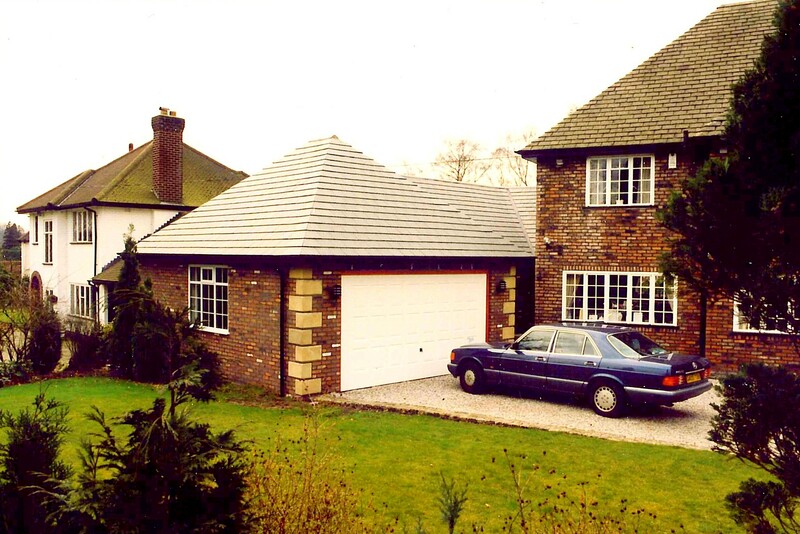 This created a very satisfying outcome for the client and besides the benefit of the extra accommodation, added a value to the property in considerable excess to the cost of the works.